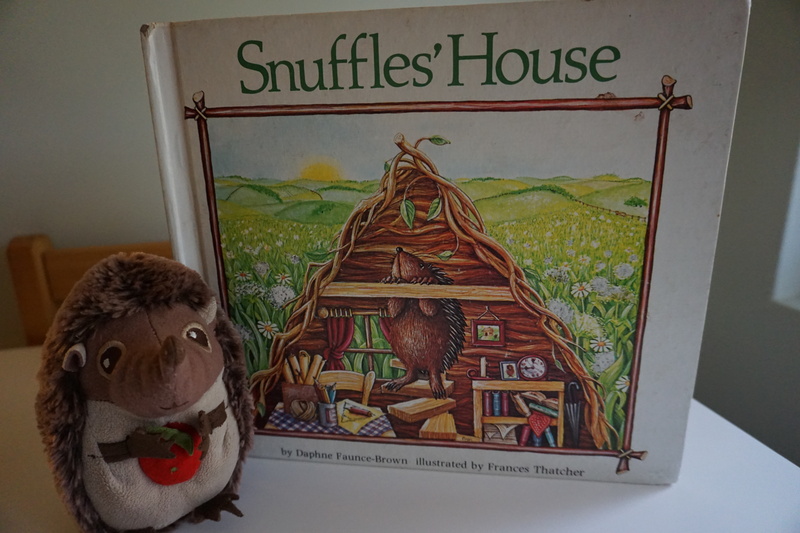 To introduce the idea of enclosures, I read my class the story Snuffles House by Daphne Faunce-Brown, about a hedgehog who sets out to build himself a new house after his house burns down. In the story, Snuffles experiments with different shapes and designs for his house, each with their own flaws (e.g., the round house rolls down a hill, the triangle house has too small of an upstairs) until he decides on a rectangle shaped house. As you can tell from the description, this story provides a lot of opportunities to talk about shapes. Snuffles House is out of print (so if you find a copy, grab it! ), but you can find a video of it being read on YouTube. You can also tell the story orally by making your own props (I made a set of different shaped houses using brown construction paper). Alternatively, a story like The Three Little Pigs also lends itself well to this topic. 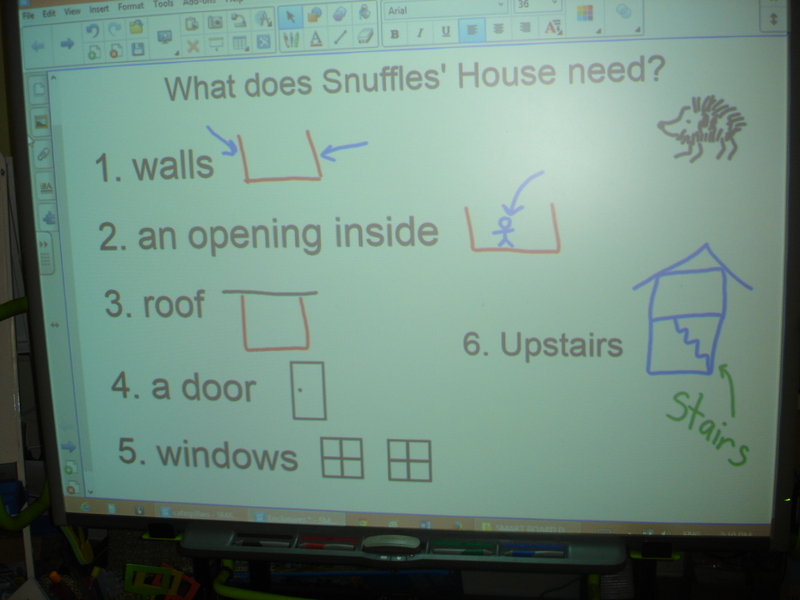 After reading the story, we talked about the problems Snuffles encountered and what features were important in the construction of his house. 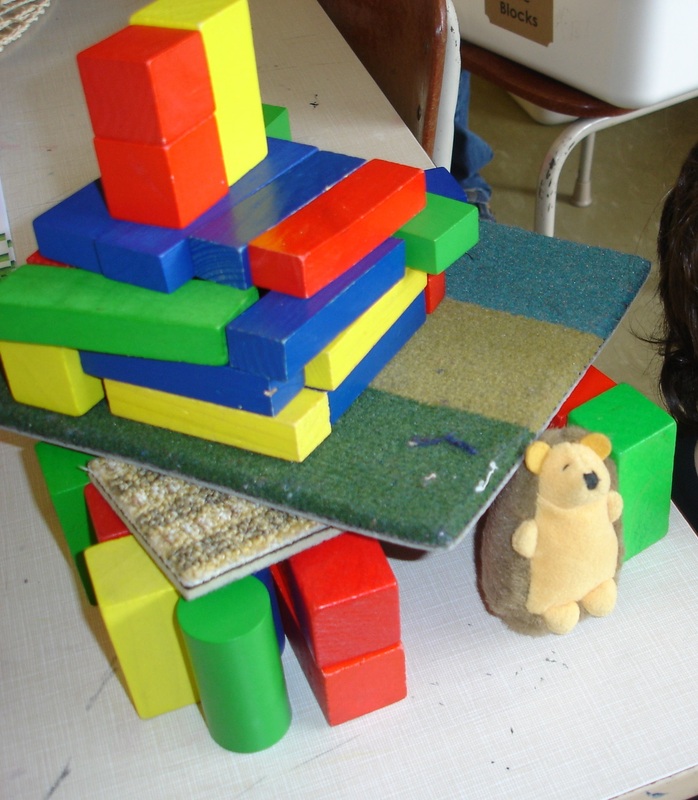 I then gave the children the task of building a house for Snuffles with blocks. 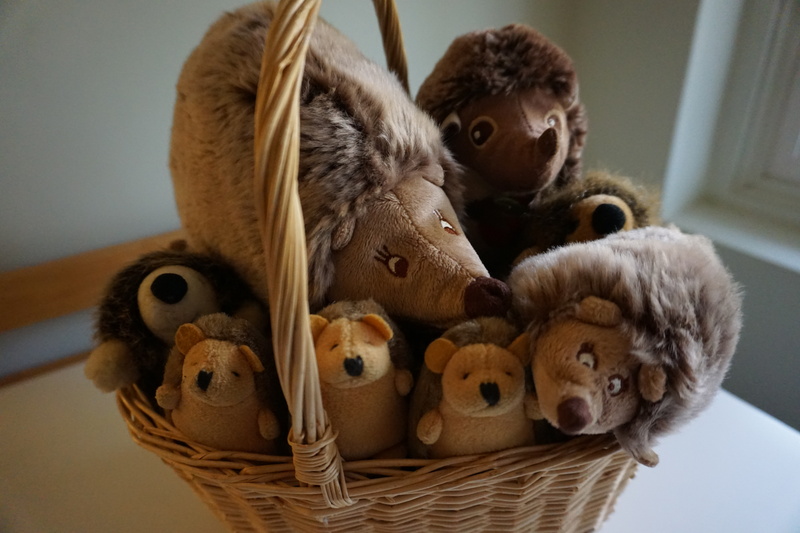 To help the children, I provided them with a basket of small stuffed hedgehog toys to use for checking the adequacy of their structures. The children loved having a tangible “Snuffles” to work with! The instructions for our initial building time were sparse. 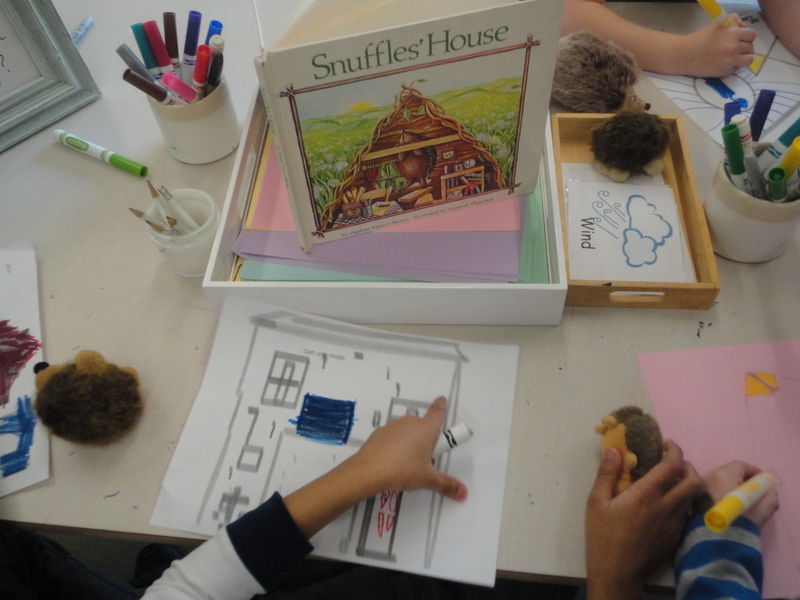 I basically read the story and sent the children to “build a house for Snuffles.” The purpose of this initial building time was for me to gauge what ideas/skills/experiences the children had around houses and enclosures. 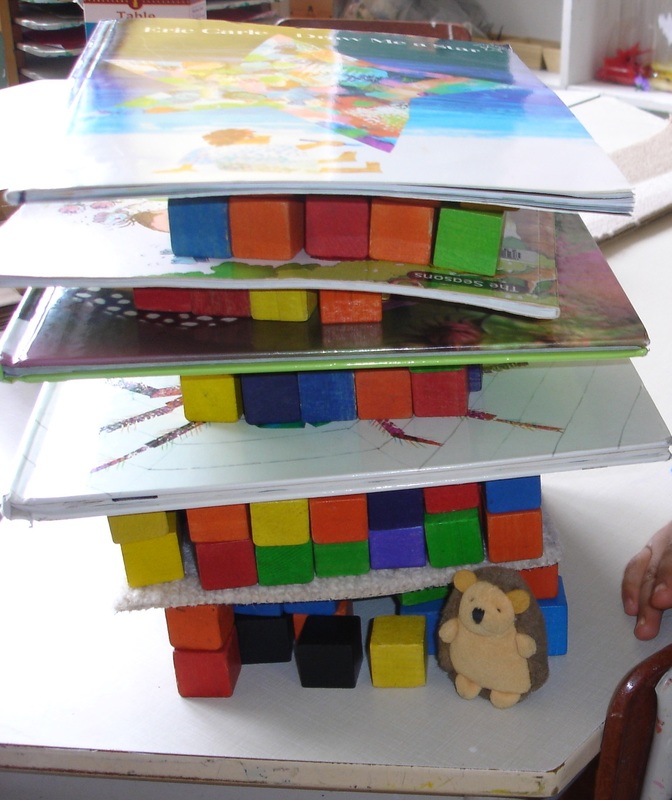 As the children worked, many of them demonstrated some ideas about walls and doors. Still others worked on some kind of roof-like covering, though this proved to be a challenge for most children because of the size of their blocks. During reflection time, we pointed out these successes and challenges. Naturally, a brainstorming session began on how to solve our roofing problems. It was decided that a roof was an essential part of our enclosures in that it would protect Snuffles from weather and predators. But how could we make a roof when our blocks were so small? I challenged the children to look around and see if they could spot anything that might make a good roof material. Immediately, the children started shouting out ideas: “books!” “carpets!” “paper!” Suddenly, we had so many ideas for roof materials! We decided to make a basket of roof materials for the next M.S.I. lesson. 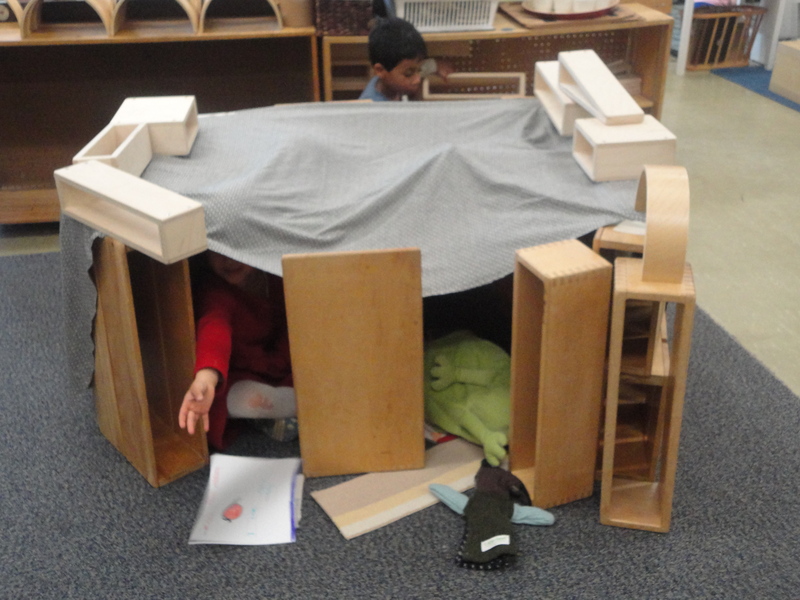 During our initial building, one student modifies her structure to add a roof. We talked about her decision during reflection time. 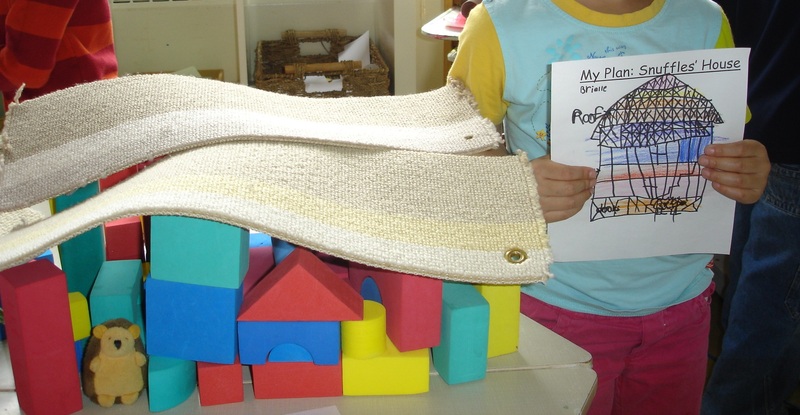 A photo showing a student who struggled with adding a roof to her structure. Throughout this inquiry, we explored so many important ideas around enclosures, almost always by examining more closely the children’s own structures. 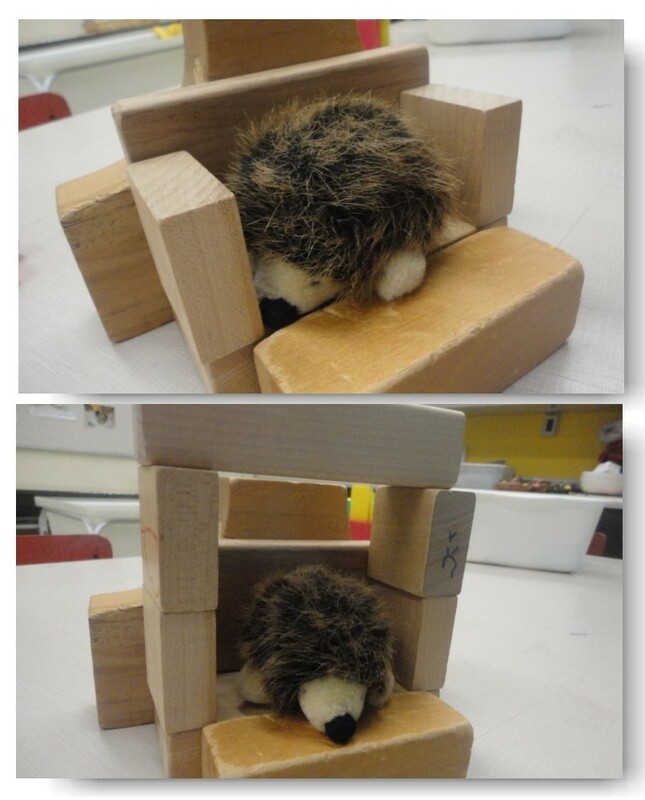 For example, many students built enclosures that the little stuffed hedgehog just barely fit inside. This got us thinking about space. We looked around our classroom and realized how high the ceiling was and how far apart the walls were. Why was space so important? What did having space in our enclosure allow us to do? How did space add to our comfort? These are some of the ideas we explored. Snuffles seems like he needs a little more space! 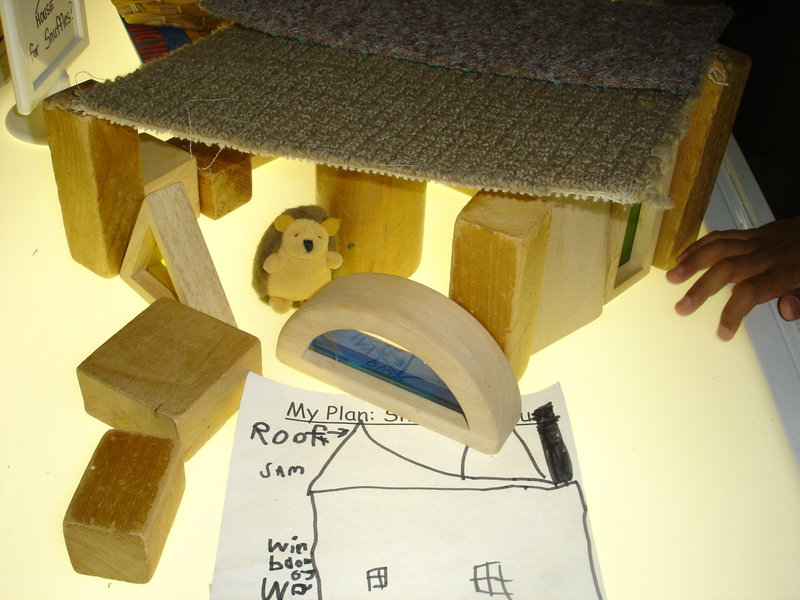 The idea of space really came to life when we added a Snuffles House provocation to the light table. 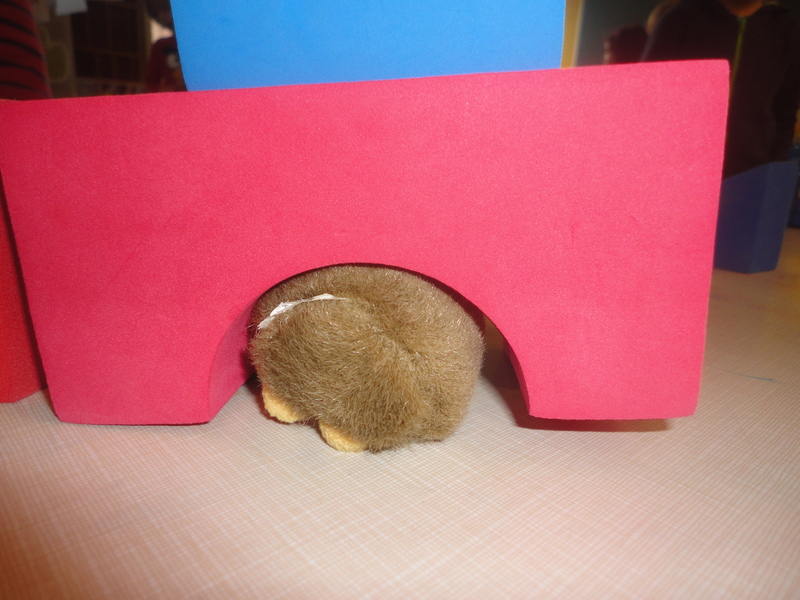 With the window blocks and the light shining from underneath, the children were really able to get a sense of how much space Snuffles had inside his house – it was quite the breakthrough! The light table also gave the children an opportunity to collaborate and the enclosures that were created were amazingly elaborate! 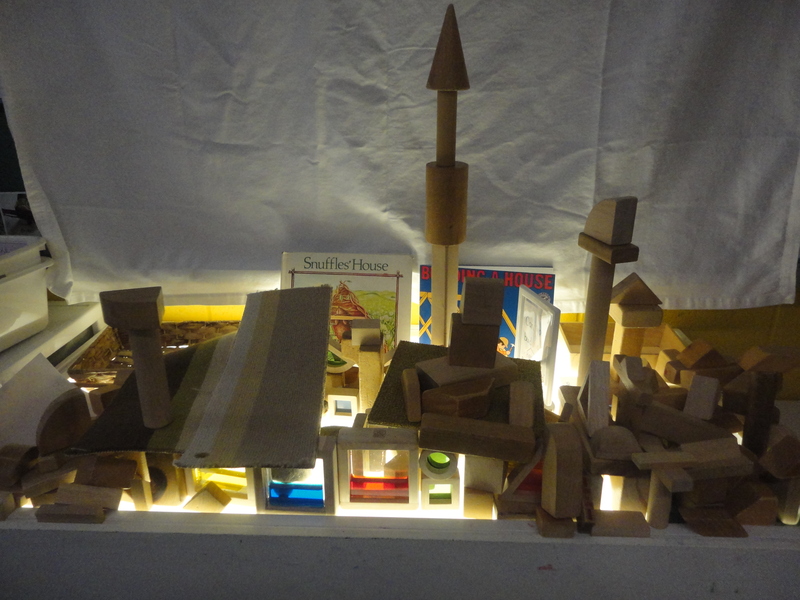 A collaborative structure at the light table. 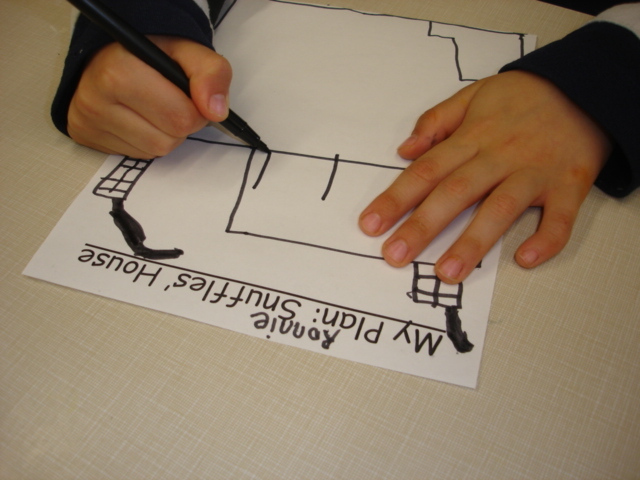 Another idea that popped up during this inquiry was the idea of drawing up blueprints or making plans for building. 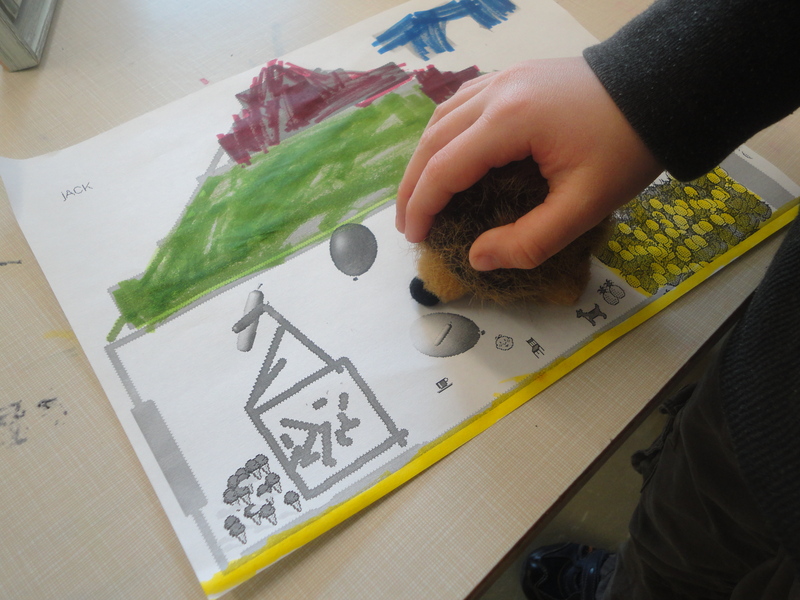 In the computer lab, the children were given a chance to work with a partner to design a house for Snuffles using KidPix. 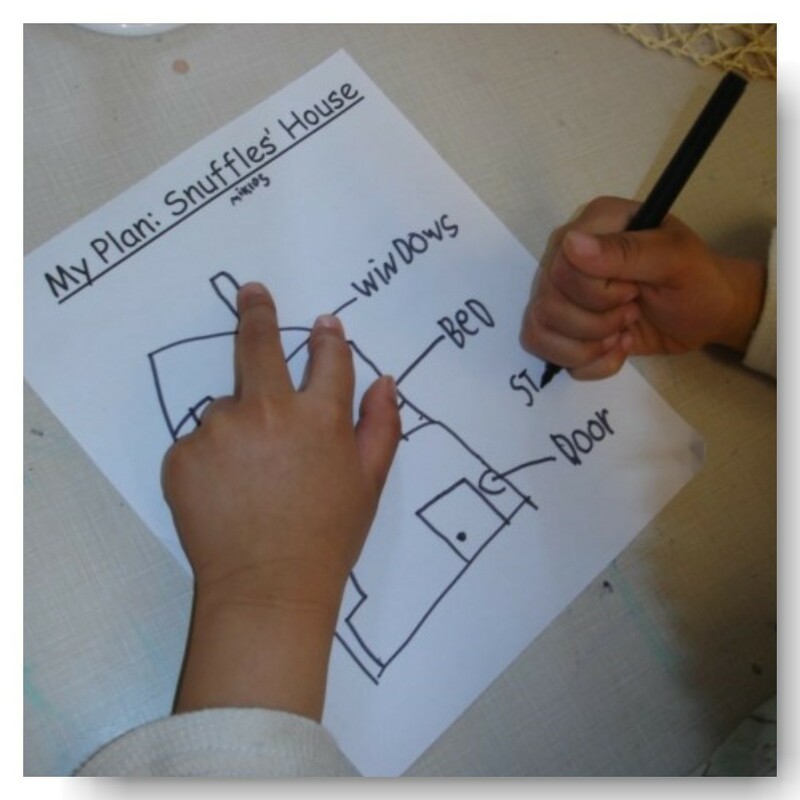 After printing out their plans, many children continued to work on adding details to their drawings at our classroom writing centre. Students continue adding to the plans they designed in the computer lab. After several weeks of experimenting with different designs for our enclosures and talking about the important features for enclosures, the children were given one last opportunity to design a dream house for Snuffles (by this time, we had co-created success criteria for enclosures on the SMART Board which were reviewed and added to each week). Our collaborative success criteria for Snuffles’ house. Whereas in our Tower Inquiry the students sketched their towers after they were built, this time the children were encouraged to draw their plans first, label them, and then build. While building, the children were able to refer to their plans and make sure they had all their important elements covered. This student focuses on using a variety of shapes in his design. This student adds labels to his design plan. 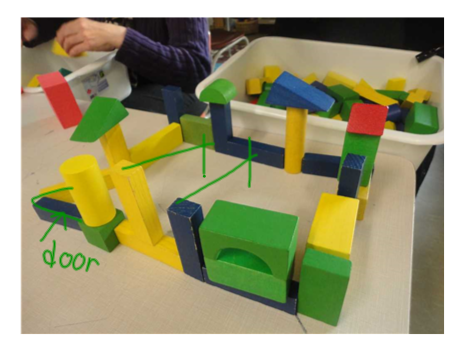 This entry was posted in Science and Technology and tagged building in kindergarten, enclosures inquiry, house inquiry, math science investigations, MSI, Reggio inspired kindergarten, snuffles house, STEM, structures, three little pigs by msmcdonell. Bookmark the permalink. This is great! I was just thinking yesterday that I would love to encourage my two littles to deepen their play with building and structures. A is for some inspiration. Keep posting, love it! I have been doing a bit of research on Reggio-inspired and project-based learning as I begin to homeschool my two kiddos (almost 2 and almost 4). Are there any books or resources you would recommend? Thanks for the advice. The Hundred Languages of Children is on my shelf waiting to be read once I finish my current book (Project Based Homeschooling by Lori Pickert). I look forward to checking out your other suggestions as I continue this wonderful adventure of learning, exploring, and playing with my kiddos. Hi! Love, love, love your blog! Do you do MSI every day? Also, do you read different books throughout the inquiry or just the one at the beginning? Thank you! !